Should I Keep Paying Creditors If I'm Going to File Bankruptcy? Should I Keep Paying Creditors If I'm Going to File Bankruptcy? Higginbotham Bankruptcy Law Firm > Bankruptcy > Should I Keep Paying Creditors If I’m Going to File Bankruptcy? Should I Keep Paying Creditors If I’m Going to File Bankruptcy? Many people who file for bankruptcy want to know when they should stop paying creditors. Depending on the type of bankruptcy you file and what types of debt you owe, it may or may not be wise to stop paying your creditors before you file for bankruptcy. Here’s what you need to know. Whether you file a Chapter 7 or a Chapter 13 bankruptcy, it’s important to continue paying secured debts to federal and state tax authorities and student loan servicers. All of these entities have more power to disrupt your life with wage garnishment, tax return seizure, etc. These debts are also non-dischargeable in most cases. Therefore, discontinuing your payment plan before you file for bankruptcy could do more harm than good. The creditors could seek additional action against you. 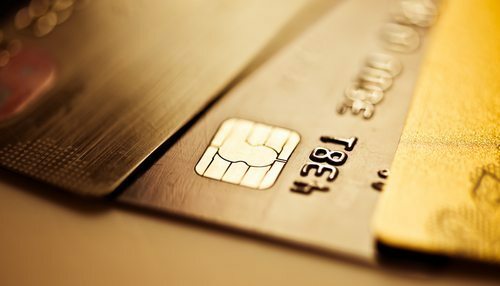 Credit card and medical debt is unsecured, meaning it is often written off in a Chapter 7 bankruptcy, or settled for pennies on the dollar in a Chapter 13 bankruptcy. While waiting until your bankruptcy is filed and the court issues a formal automatic stay will stop them from taking collective action against you, it may not be in your best interest to wait until then and continue making monthly payments toward credit cards and medical bills. Your bankruptcy attorney can help you determine if you can stop these payment plans with little or no consequence and save the money. These three types of debt are ones that you want to keep paying before bankruptcy. Your mortgage servicer can put your home into foreclosure if you stop paying. This is something to avoid if you are not already in that position when you file for bankruptcy. Vehicle loans are similar — continuing to make payments will ensure that your vehicle doesn’t get repossessed before bankruptcy. Domestic support obligations also need to be met regardless of whether you’re filing bankruptcy or not; however, you could have an alimony or child support order modified due to your bankruptcy status. If you’re struggling to pay your debts, don’t hesitate to contact a bankruptcy lawyer. Many people wait far too long to file. Contact the Law Firm of D.C. Higginbotham today to learn more about how bankruptcy can help you get out from under crushing debt. Call now at (904) 354-6604.